You never stop pushing limits -- from extra hours at the office to extra miles on the trail -- and you deserve a bar that is just as enduring as we are. 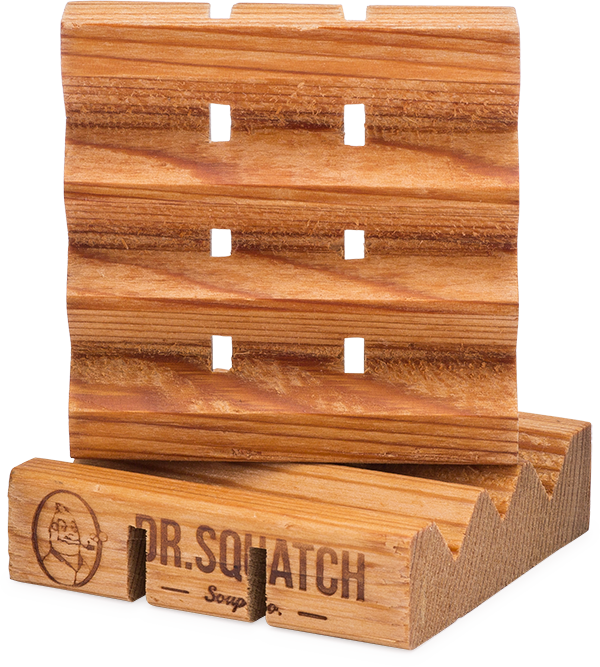 Give your suds that extra boost they need with our 100% cedarwood block designed to extend the life of your bar and keep scum out of your shower. Handcrafted in the good old U.S. of A., this essential shower accessory features six precisely cuts slats that keep your prized scrubber dry and lasting longer. Keep going strong, because your bar will too. Made from reclaimed California cedar. Finished with an organic vegetable oil blend to help prevent bar sticking. Place soap on the saver and store in your shower in a place that will not get wet, allowing it to dry between use. If the bar is sticking to the saver, try placing it vertically.